We'll start our discussion with a look at the force of electromagnetism. The theory describing this force states that there are electric and magnetic fields. Such fields are generated by electrically charged objects and we can think of them as little arrows at each point in space (or, to be precise, in spacetime). This image shows the magnetic field lines of an ideal cylindrical magnet, which is caused by the electrons inside the magnet. Mathematically a magnetic field is represented by a little arrow at each point, which indicates the strength and direction of the force. Image: Geek3, CC BY-SA 3.0. This image illustrates the electric field surrounding a positive (red) and a negative (blue) charge. Mathematically al electric field is represented by a little arrow at each point, which indicates the strength and direction of the force. Image: Geek3, CC BY-SA 3.0. We feel the presence of these fields by their action on charged particles that enter them. Electric fields act on charged particles by pushing them along the direction of the electric field. Magnetic fields only act on moving charges. In the presence of a magnetic field a moving charge feels a force that acts perpendicularly to the direction of its velocity. So if you were a charged particle moving forwards in a vertical magnetic field, you would feel a force pushing you to your side. If there were no other forces, then you would end up moving along a circular trajectory. See the figure below. In summary, charged particles move in circles around magnetic fields. (a) An electric field exerts a force on a charged particle along the direction of the field. (b) A magnetic field exerts a force on a moving charged particle that is perpendicular both to the magnetic field and the direction of motion. (c) The charged particle ends up moving in a circle around the magnetic field. 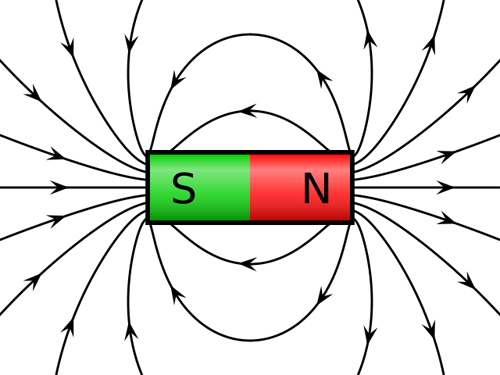 These electric and magnetic fields have their own dynamics. We can have electromagnetic waves, which are interlocked oscillations of electric and magnetic fields. These can propagate through empty space. They are radio waves, light, X-rays, gamma rays, etc. All this might be familiar to you. But don't panic if it isn't! You do not need to know the detailed equations to understand what follows. All you need to know is that there are electric and magnetic fields, which can exist in otherwise empty space. These fields act on charged particles and affect their motion. Electric fields push them along the direction of the electric field. 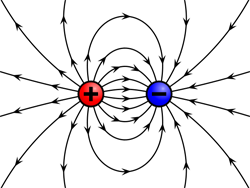 Charged particles move in circles around magnetic fields. Electromagnetism can be viewed as a gauge theory, which is based on a gauge symmetry. The gauge theory view of electromagnetism is particularly useful for generalising it to other forces. It is also useful for describing the quantum mechanical version of electromagnetism. To explain what a gauge symmetry is, it is convenient to introduce an economic analogy. In this economic analogy we will make a few idealisations and simplifications. Keep in mind that our goal is not to explain the real economy. Our goal is to explain the real physical world. The good news is that the model is much simpler than the real economy. This is why physics is simpler than economics! These articles contribute to our Stuff happens: The physics of events project. Juan Maldacena is the Carl Feinberg professor at the Institute for Advanced Study at Princeton, New Jersey, USA. 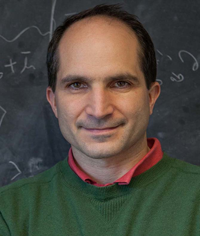 He works on quantum field theory and quantum gravity and has proposed a connection between those two (see this article).